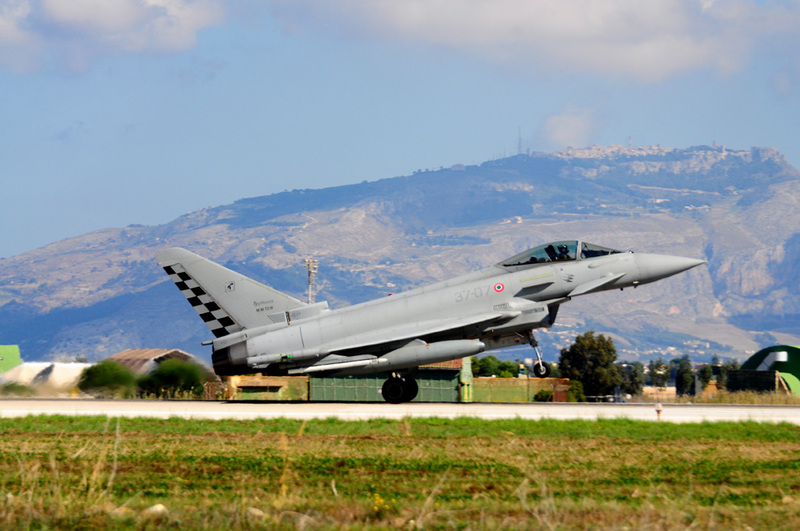 The Joint Star 2017 is the most important exercise in Italy. 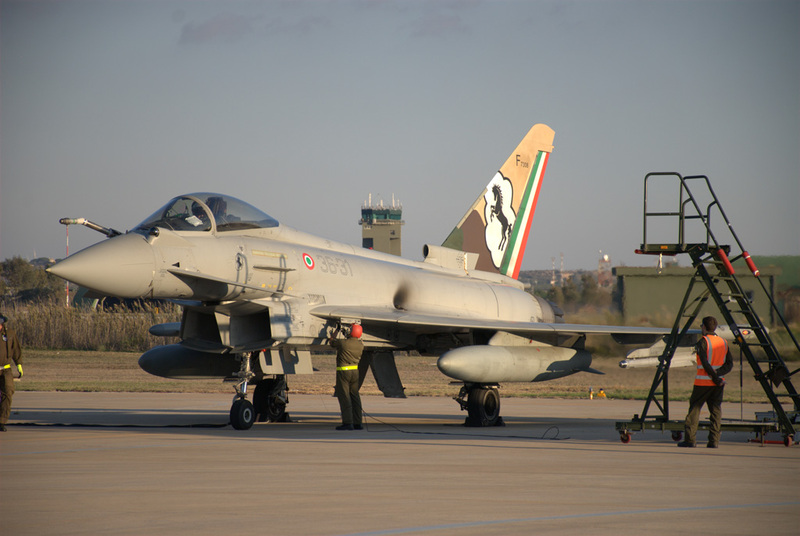 It have been hold every two years, with different name in the past, such as Star Vega in 2013, Trident Juncture in 2015 or Joint Star in 2017, but every time it involves all the Wings of Aeronautica Militare (Italian Air Force) in cooperation with Italian Navy and Italian Army. 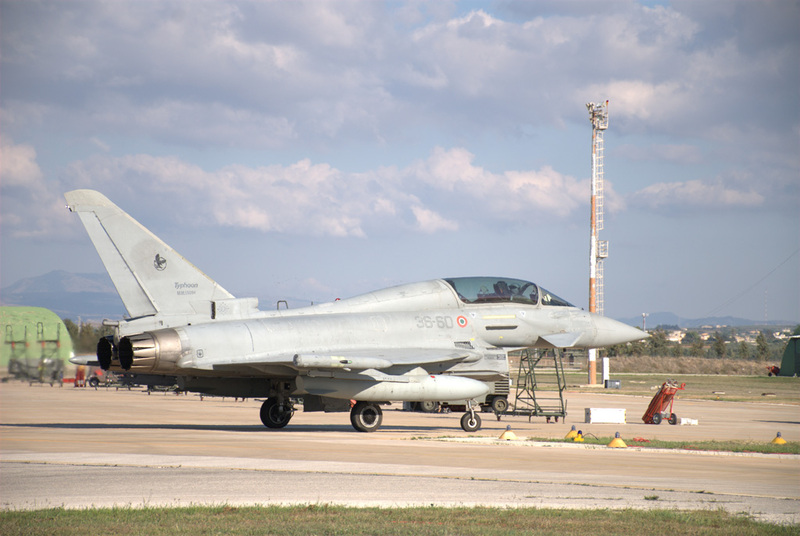 The Joint Star 2017 included the “Vega 2017”, the exercise carried out by the Air Force, and “Mare Aperto 2017”, those one carried out by the Navy, and it took place from 16th to 27th October 2017. 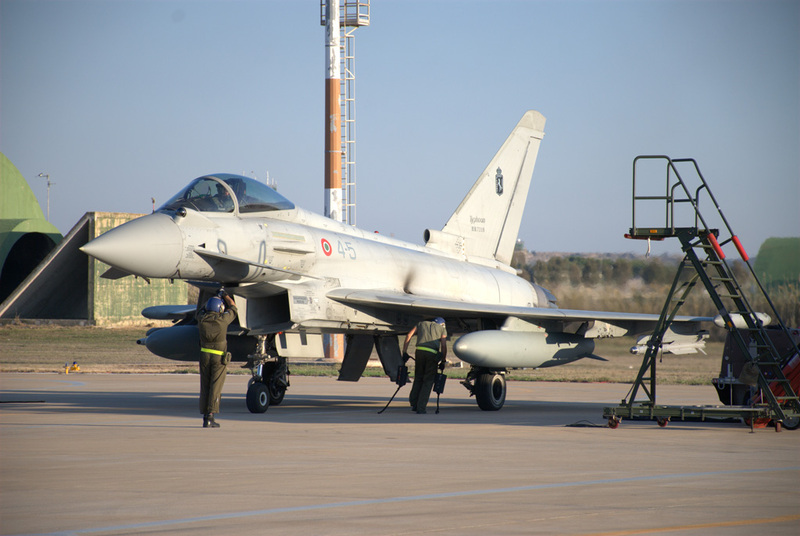 The main aim for AM (Aeronautica Militare) is to keep trained its personnel and the Comand structure to plann and manage a COMAO (COMposite Air Operation). 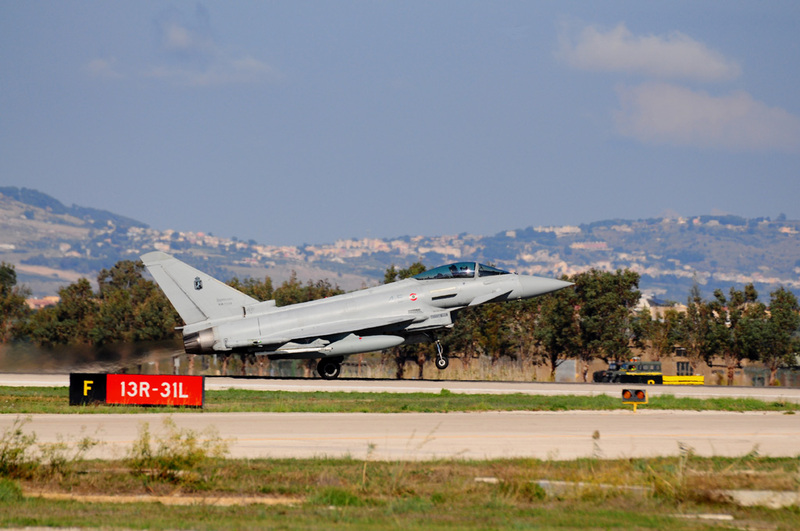 The exercise had been carried out based on a simulated scenario which expected the partecipation of Italian Air Force and Hellenic Air Force to a international operation ordered by ONU to resolve an international crisis situation. 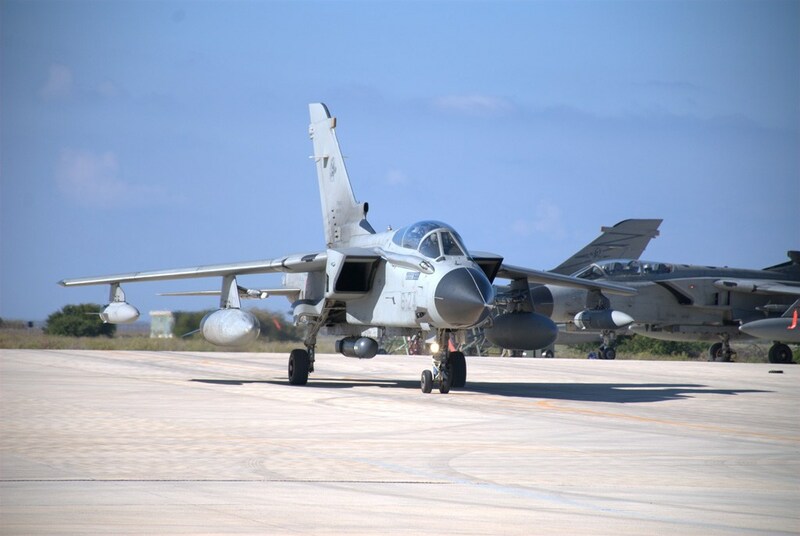 In this scenario, following a sequence of events planned by the exercise organizators, and unknown to the crew in exercise, have been trained all the operative scenarios in which is demanded the engagement of the air force in a COMAO such as those one carried out in Lybia in 2011. 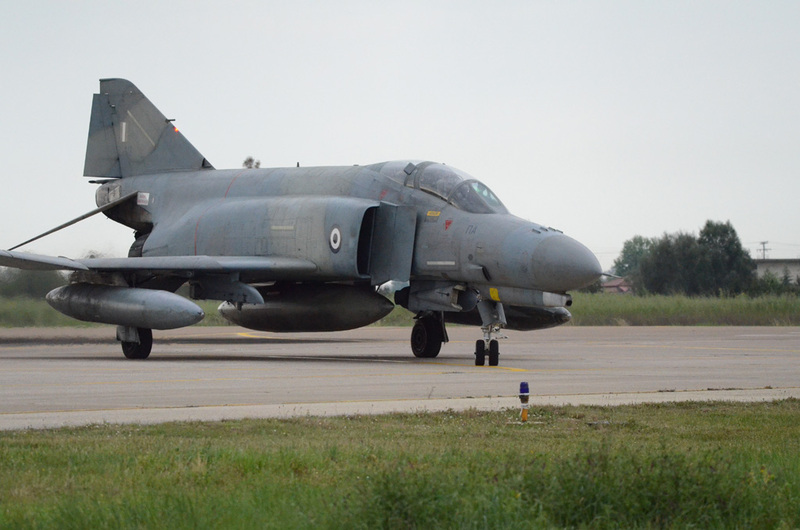 In the Joint Star 2017 had been involved all the Squadrons of Aeronautica Militare and the F 4E AUP Phantom II of 339 Mira, 117 Combat Wing of Polemiki Aeroporia, from Andravida air base, in Peloponnese, but deployed in Decimomannu air base, Sardinia, for the entire exercise. 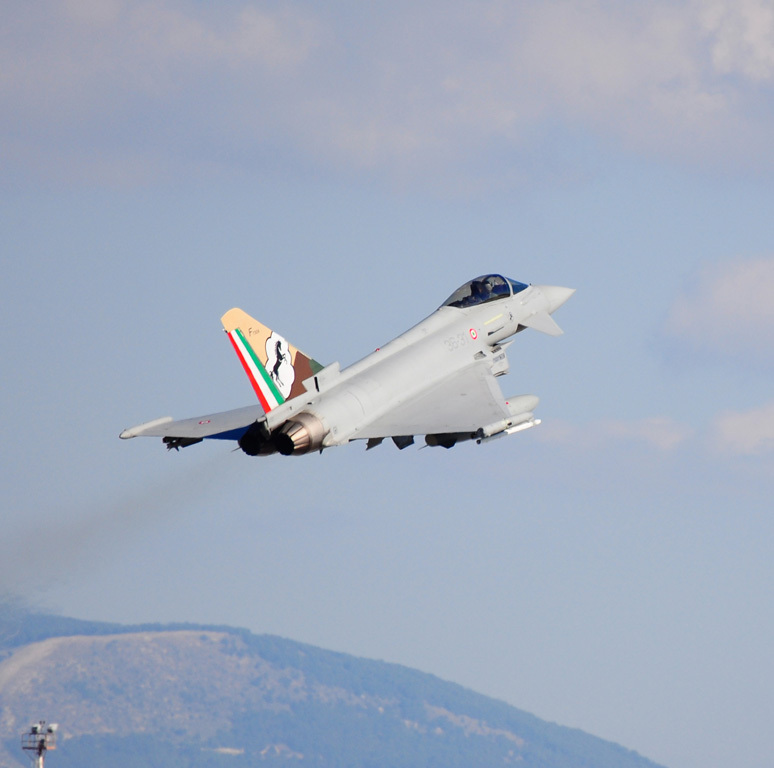 The Italian Air Force component were rappresented by Tornado IDS and It-ECR from 6 Stormo, Ghedi air base, the Eurofighter EF 2000 from 4 Stormo, Grosseto air base, 36 Stormo, Gioia del Colle air base, 37 Stormo, Trapani air base, the AMX from 51 Sormo, Istrana air base, C 130J and C 27J from 46 Brigata Aerea, Pisa air base, KC 767 from 14 Stormo, Pratica di mare air base, and the Predator from 32 Stormo, Amendola air base. 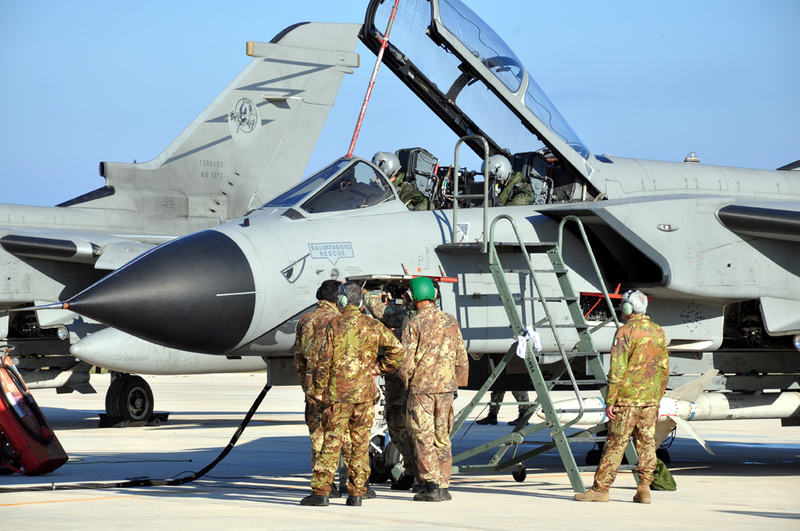 All the fighter jets were deployed in Trapani air base, while the transport aircraft were in Pisa AB, the tankers in Paratica di mare and the Predators in Amendola AB. 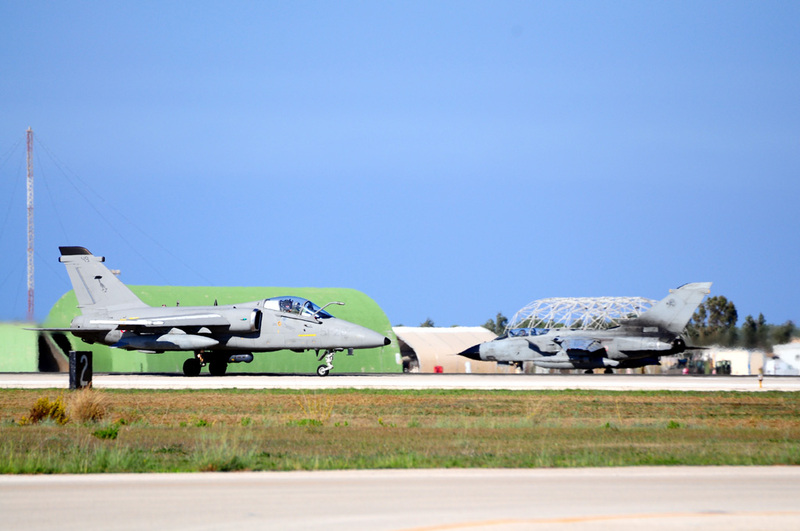 The air component of the Italian Navy was rappresented by the AV 8B+ Harrier II, SH 90, EH 101 and AB 212. During the exercise, all he air specialities had been trained. 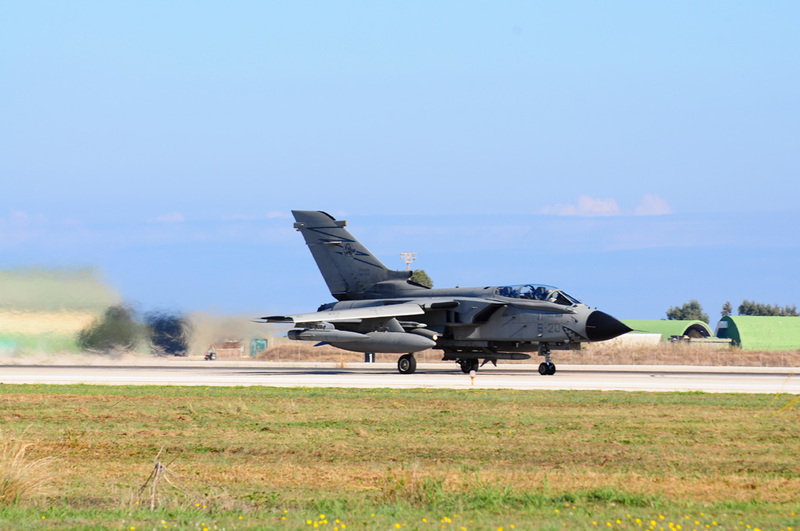 The crew performed ISR (Intelligence, Surveillance and Reconnaissance) missions, CAS (Close Air Support), OCA/DCA (Offensive/Defensive Counter Air), electronc warfare, SEAD (Soppression of Enemy Air Defence), ASW (Anti Surface Warfare). The Joint Star had been thought and planned even in the aim to reduce the cost and the ambiental impact, two tems which are very important for the media in italy in this moment. 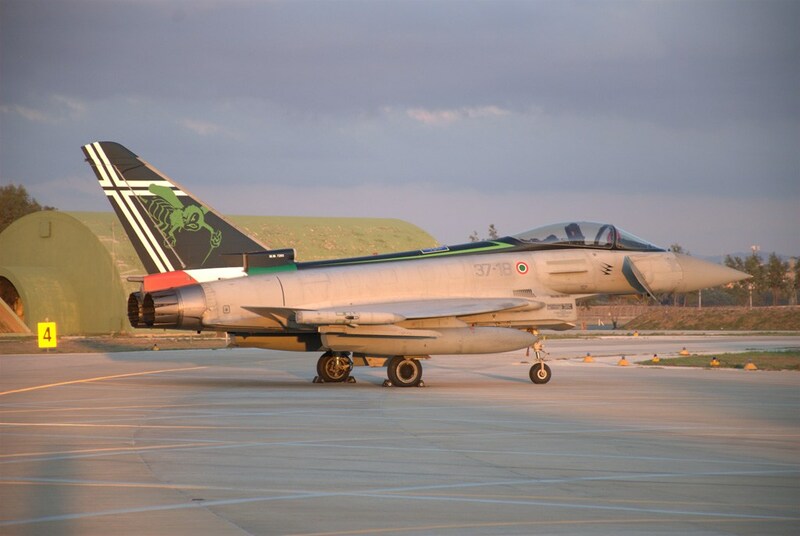 Except for the fighters, all the other aircraft operated from their own bases with less need to move personnel and equipment, and without using real weapon, but recurring to simulation technologies. 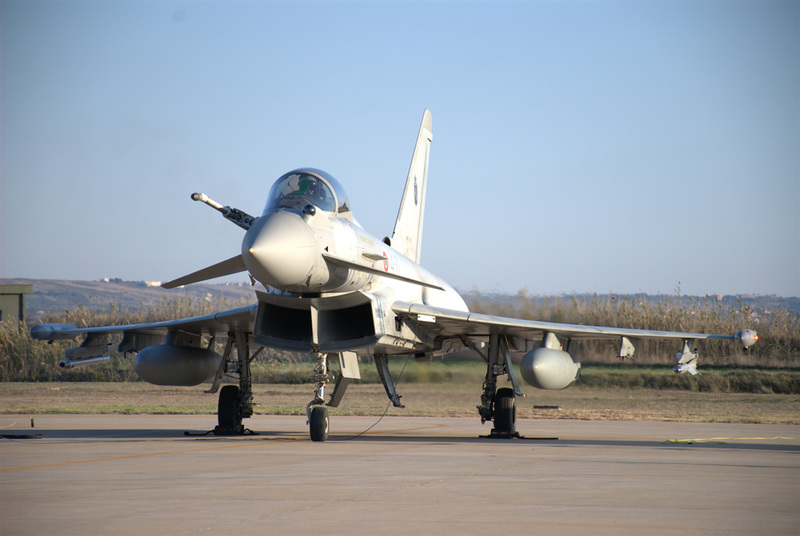 One of these is AACMI (Autonomous Air Combat manouvering Instrumentation), a trainig system belonging to Reparto Sperimentale Standerdizzazione del Tiro aereo of Decimomannu thanks to whom it had been possible to train the crew to several types of air operations. The aircraft operated into restricted air spaces reserved to military flights, without interfernces with the normal civilian air traffic. The Joint Star rappresented a final test of all the experiences learnt in the several recent real operations, from the ISAF mission in Afghanistan to “Unfied Protector” in Lybia 2011, such as the “Inherent Resolve” in Kuwait in 2014-2016. In particular, one of the fundamental activities in the modern scenarios, is to trace, to analize, to protect and to share in real time all the informations and datas useful to have an adeguate and prompt awareness of the situation and to permitt to the Comand center to take the best decisions in the fastest way as possible. In operative scenarios caratterized by asimetric threats, often made with improvised devices (IED) and with the presence of civilian people, it is fundamental to have available and to be able to use leading edge technologies and capabilities in the sector of Intelligence, Surveillance and Reconnaissance (ISR), such as the capability, inside a NATO complex mission, to analize and sharing all the data coming from the ground and air sensors, such as high resolution photos, full motion videos, electromagnetic emissions, and the Tornado, the AMX and the Predator carried out this role in excellent way. 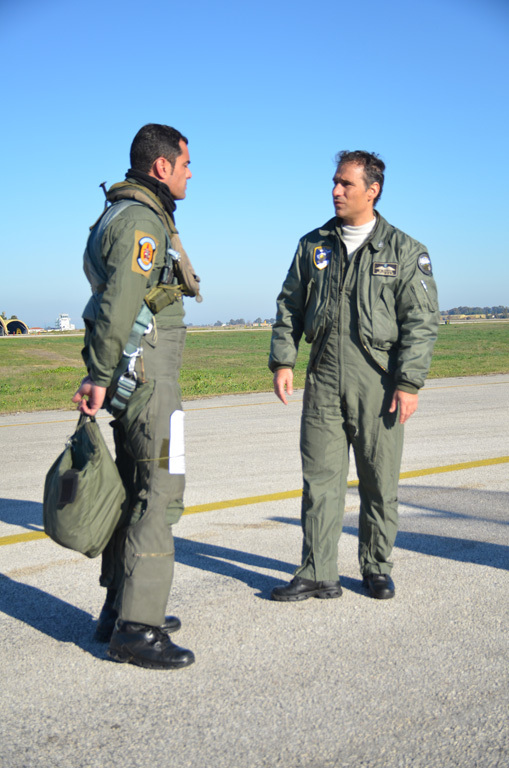 The Joint Star 2017 viewed for the first time the presence of a detachment of Polemiki Aeroporia (Hellenic Air Force). 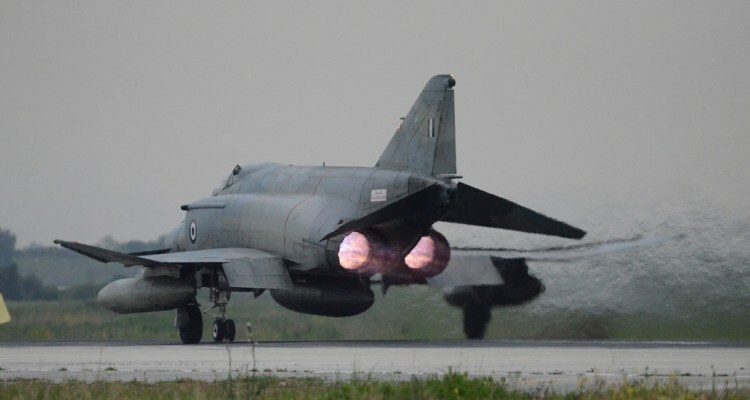 The Hellenic F 4E Phantom, thanks to the AUP (Avionics Upgrade Program), is still a valid competitor with capabilities typical for a third-generation fighter jet. 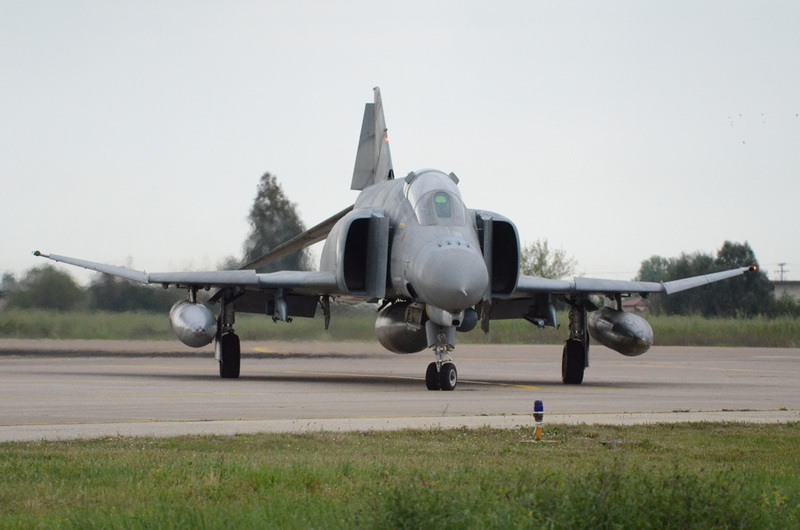 The 339 Mira “Aias” is specialized in air defense, and they carried out OCA/DCA and CAP missions for the entire exercise. 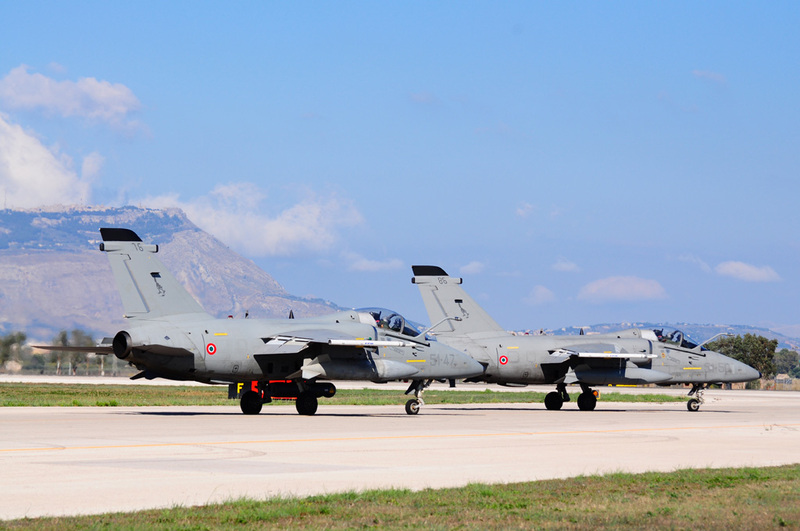 The four F 4s arrived in Sardinia on 12th october in order to familiarize with the operational area. 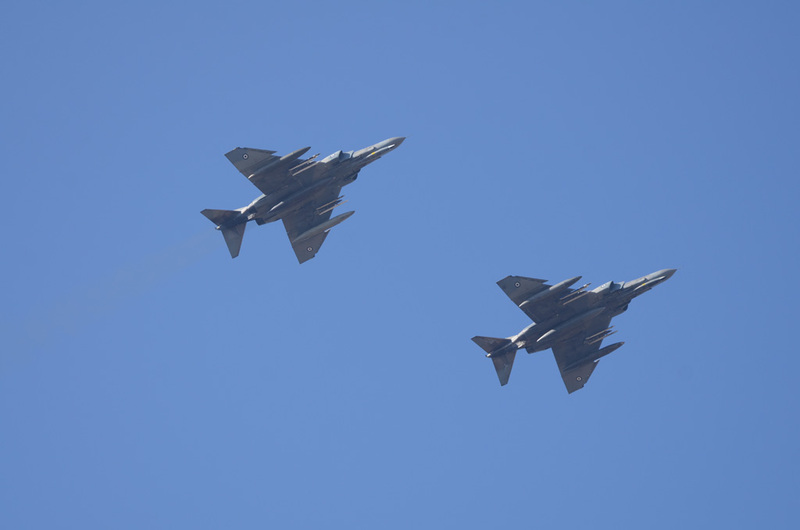 During the exercise they flown four sorties every day, in formation of couple of aircraft or in formation of four aircraft. 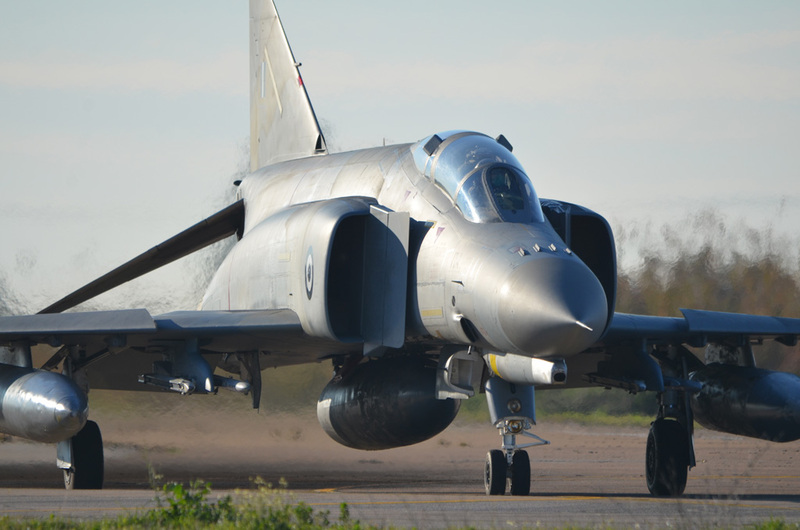 The Hellenic F 4E are upgraded with the AUP (Avionics Upgrader Program) started in 1997 with the aim to upgrade all the Phantom fleet to the standard of third generation fighters. 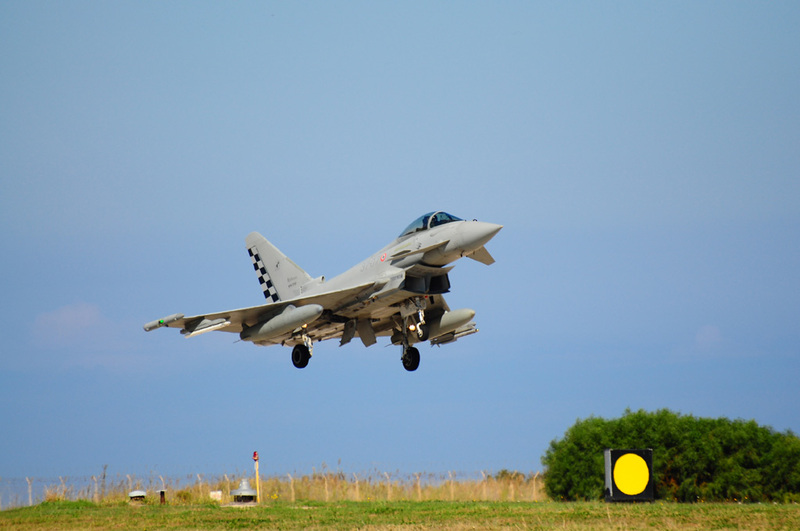 The core of the Program is the radar AN/APG 65GY, the same used in the F 18, other upgrade was rappresented by multifunctional displays for the pilot and WSO, Modular Multi Role Computer (MMRC), laser gyro inertial navigation system with embedded GPS, AN/APX 113 advanced identification friend or foe (IFF), RWR recivers. The upgrade permitted even the use of new weapons. 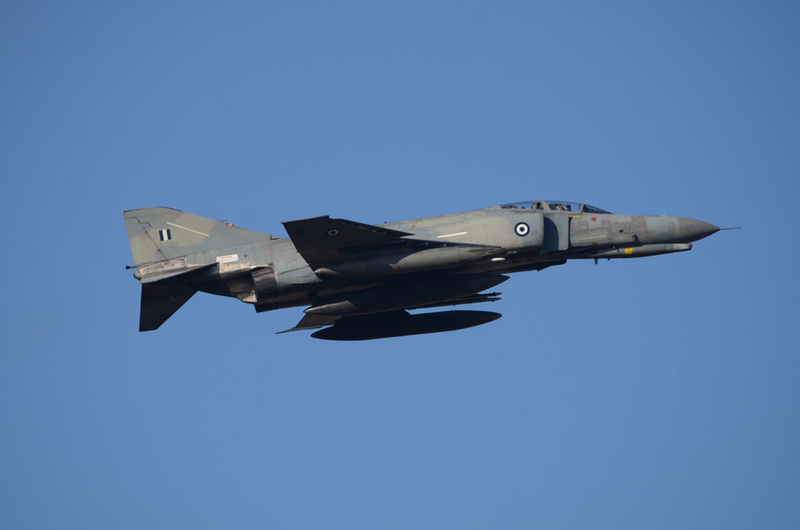 The 338 Mira, specialized on air-to-ground mission, can now use the laser guided bombs GBU-16 and GBU-24, the missile AGM 65 Maverick and the Litening II pod which allowed the Hellenic Phantom to achive the same score of the USAF F 15E during the INIOHOS 2016, whilst the 339 Mira , above the AIM 9 Sidewinder, can use the AIM 120 Amraam BVR missile. Thanks to this, the HAF Phantom was a high level challenger during VEGA 2017, achieving results similar to the Typhoon. 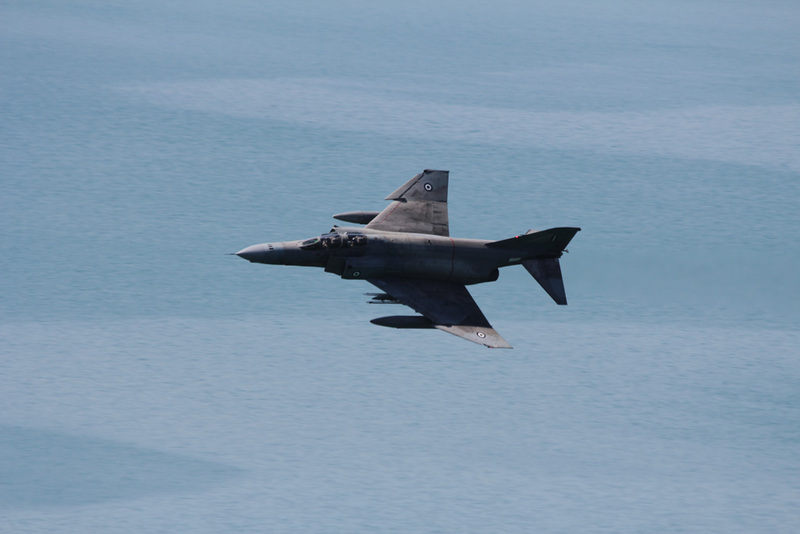 It lacked only in terms of maneuvrability, but as Lt. Col. Michael Psaltis, pilot of 339 Mira explains, in the modern air combat, the winner is not that one who turn tightly, but that one who can fire first. 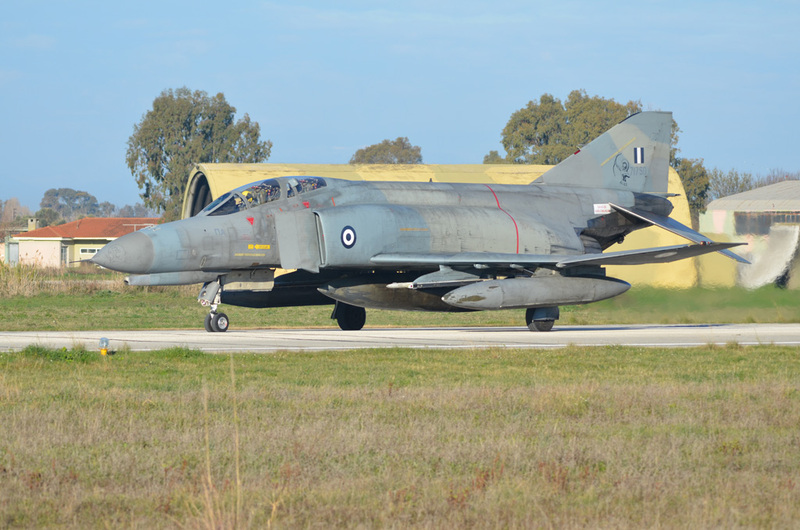 Despite of the excellent performance during the exercise, the VEGA 2017 had been the last international effort for the 339 Mira, which will suspend the operations on 31st October in order to reduce the cost for Hellenic Air Force and from 1st November the 338 Mira “Aris” will be the last Phantom squadron in the HAF. 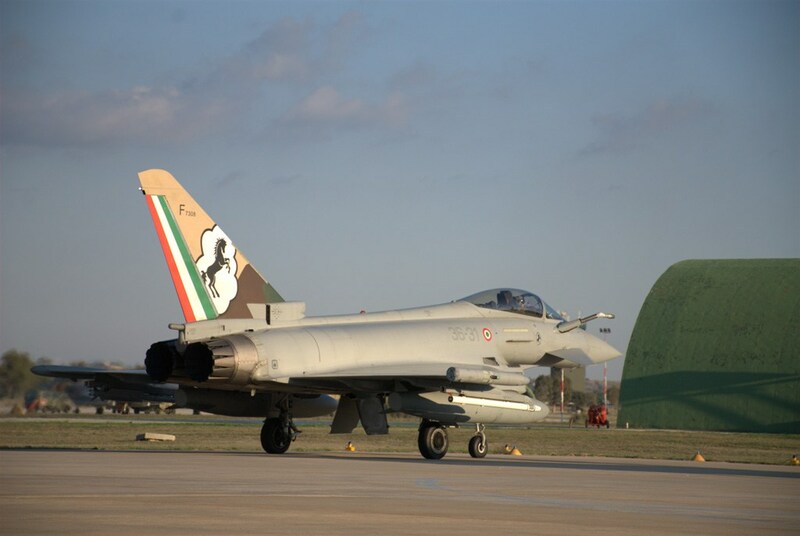 The Joint star 2017 had been a succesfull exercise both for AMI (Aeronautica Militare Italiana) such as for PA (Polemiki Aeroporia) and the co-operation between the air forces had been profitable, verifing the effective readiness to respond quickely to a situation of international crisis.